Ove Granstrand was educated at Chalmers University of Technology, University of Gothenburg, Sweden and Stanford University with graduate degrees in mathematics, economics and engineering and a PhD degree in industrial management and economics. His work experience includes teaching, research and consultancy in various Eastern and Western countries. He has served as Professor in Industrial Management and Economics at Chalmers University of Technology and is founder of CIP – Center for Intellectual Property Studies at Chalmers. His research interest concerns economics and management of technology and innovation. In particular, he has studied innovation, corporate strategy and diversification in multi-technology corporations in Europe, Japan and the USA, as well as various issues related to R&D, intellectual property and intellectual capital more generally. 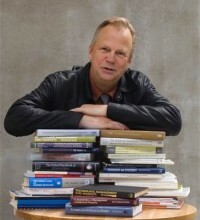 Ove Granstrand has authored and edited many books and articles on these topics, recent ones being Evolving Properties of Intellectual Capitalism – Patents and Innovations for Growth and Welfare (Edward Elgar, 2018); Industrial Innovation Economics and Intellectual Property (Svenska Kulturkompaniet Publ., 2018); The Economics and Management of Intellectual Property – Towards Intellectual Capitalism (Edward Elgar, 2000); Economics, Law and Intellectual Property. (Editor), Kluwer Academic Publishers, Dordrecht, 2003; The Economics and Management of Technological Diversification. Co-edited with Cantwell, J. and Gambardella, A. (Routledge, London, 2004); Bringing Technology and Innovation into the Boardroom. Palgrave Publ., 2004 (Chapters and editorial contributions to a book co-authored with European Institute of Technology and Innovation Management). Below is a short summary of Ove Granstrand’s CV. or a full version here: Full CV Ove Granstrand. Professor in Industrial Management and Economics, Chalmers University of Technology. Member of Royal Swedish Academy of Engineering Sciences. Chairman Centre for Intellectual Property Studies at Chalmers University of Technology and Göteborg University. Leverhulme Trust Visiting Professor at Department of Engineering at the University of Cambridge. Former member of the Governing Board of University of Jönköping, Sweden. Visiting professor at various foreign universities and academies (especially Stanford but also MIT, SPRU, Academia Nauk/Moscow). Member of company boards and EC expert panels. Founding member of European Institute of Technology and Innovation Management (EITIM). Det finns (änna) inga patentlösningar i innovationspolitiken. Eller?